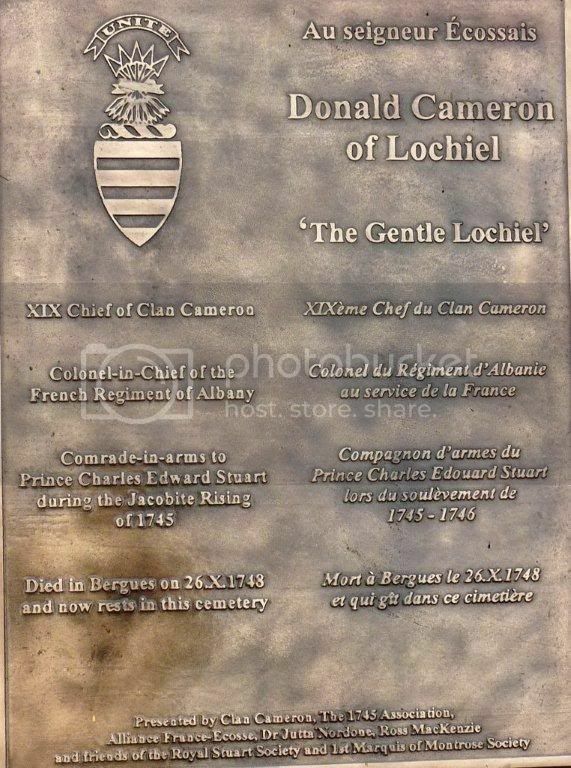 DONALD CAMERON OF LOCHIEL , xix chief of the Clan Cameron , comrade in arms to Prince Charles Edward Stuart during the Jacobite Rising of 1745 -1746 . 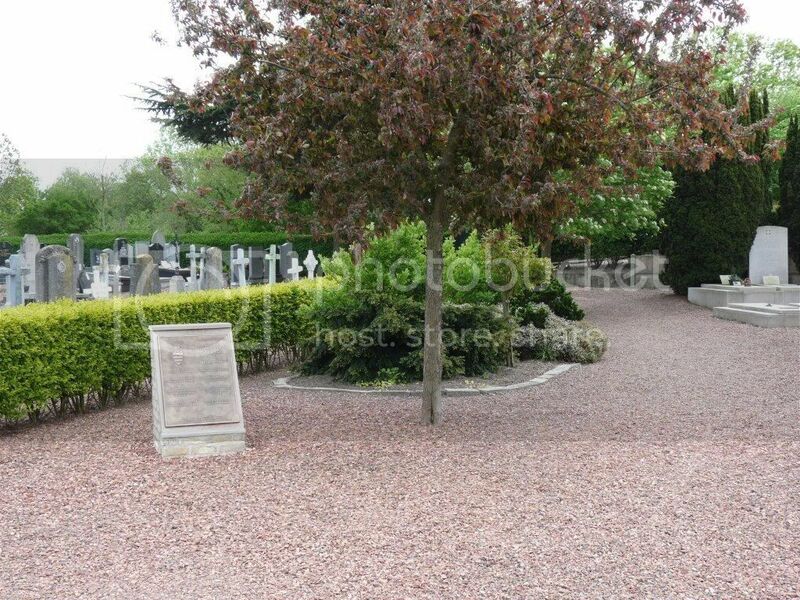 Died at BERGUES on 26 10 , 1748 and now rests in that Cemetery . 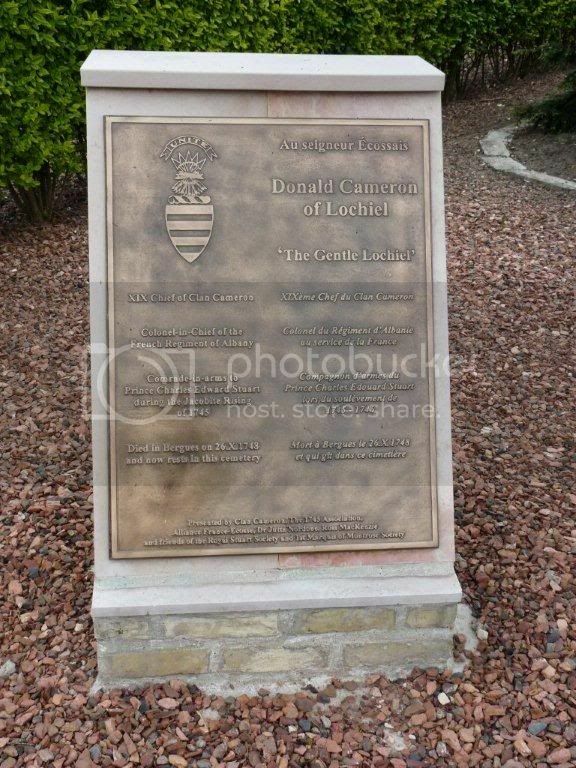 Thank you to ADP for adding the pics to this site and also to my good friends Freddy and Anita in Belgium who provided me with the Memorial photographs when they were over in France for a day recently .